rapid) keeps you connected with AzRA Discovery, the river community, and the Canyon. If you have trouble viewing this email, please follow the link at the top of this message to view a web version. This issue features several topics including a guide profile on Katie Proctor, the first ever Grand Canyon commercial river board trip, a river recipe, and the scoop on a popular social media website called Pinterest. You will also find a couple short blurbs about our 2012 photo contest, 2014 reservations, and our refreshed website. 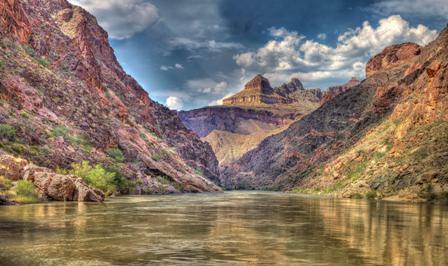 Does a Grand Canyon trip in 2014 sound like an amazing idea? Believe it or not, it is time to begin thinking about making a reservation for the 2014 river season. In fact, we have received provisional approval of dates from the National Park Service. Do you have a fantastic photo from your last trip? If so, enter it in ourphoto contest. The Grand Prize winner will be featured on the front of AzRA's 2012 seasonal card and receive a voucher for $500 off a 2013, 2014 or 2015 reservation. Submissions are due by October 15, 2012. READ CONTESTANT RULES AND ENTER HERE. Just love great pictures or want to vote on your favorite? Click here to view and/or vote on entries. Known for her Southern charm and Virginian accent, Katie Proctor has been guiding for AzRA for 6 years. 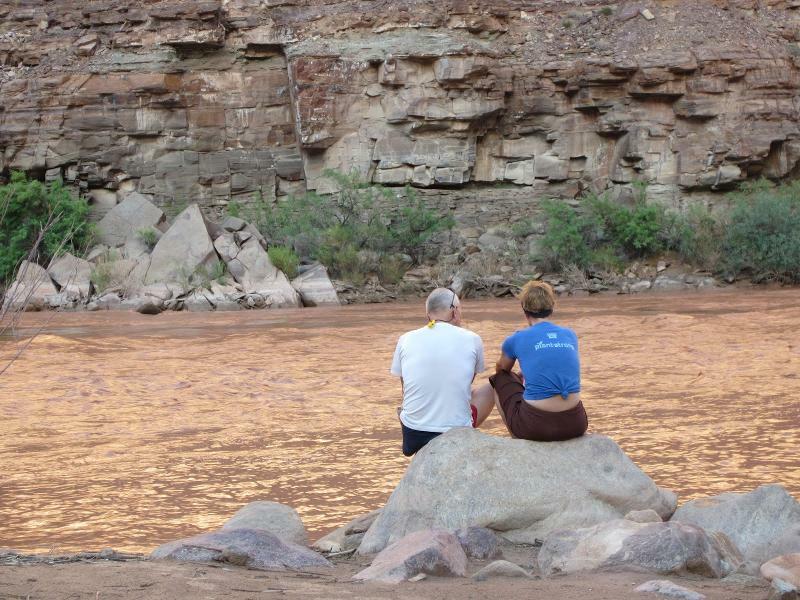 With over 40 trips down the Colorado River, Katie enjoys each trip to the fullest. She said a guest once asked her, "Do you ever get bored being a Grand Canyon guide?" "No way!" she exclaimed. In fact, she tells us that one of her favorite aspects of being a guide is observing each guest as they experience the Canyon in their own way. She appreciates the unique communities and group dynamics that develop on each trip. Additionally, she said she loves to watch adults play; she enjoys watching them jump from water falls, scramble over rocks, and make trains at the Little Colorado River, just to name a few. 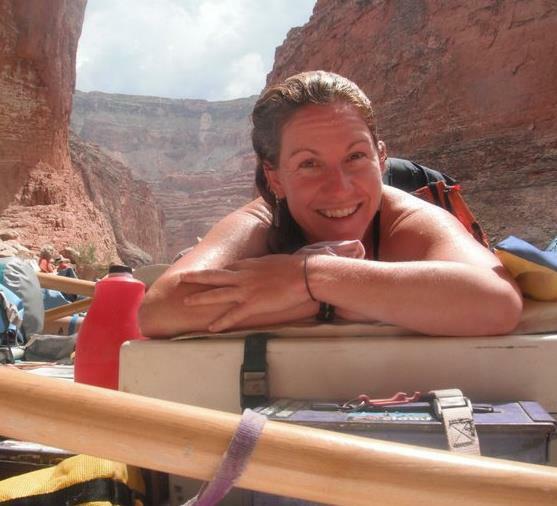 Katie balances life as a Grand Canyon river guide with one as a massage therapist. Last winter, she opened her own practice called Under One Sun in Flagstaff, Arizona. Business has been fruitful and Katie has been extremely pleased with the support received from the local community. The connections she had within the guiding community were elemental in getting her business off the ground. Don't get any ideas though... Katie works so hard on the river that she rarely has extra time to hand out massages! 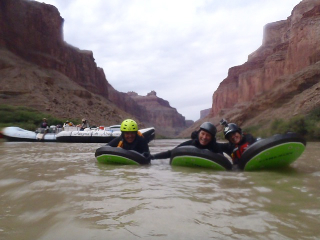 On August 3, 2012, Arizona Raft Adventures and Grand Canyon Discovery (AzRA Discovery) partnered with Sierra Rescue of Taylorsville, California, to run the first ever commercial river board trip on the Colorado River through the Grand Canyon. River boarding the Colorado River provides an intense, intimate and fun connection with the River and the Canyon; river boarders view it all from face level. A river board is a 'beefed up' boogie board commonly used by rescue professionals nationwide. AzRA Discovery provided two 32' motorized rafts which carried all of the camping gear and supplies for the trip, as well as the 16 river boarders between rapids. Besides running the rapids, the river boarders did some amazing hikes and learned about Grand Canyon geology, archeology and natural history. This was an unparalleled experience for all of the guests, Sierra Rescue, and AzRA Discovery. Traditionally, migas ("crumbs" in English) were made with leftover bread or tortillas in Spain, where the bread or tortillas were mixed with whatever was in the kitchen. Nowadays, they are still a very popular dish in Spain, Portugal, Mexico, southwest US and many other Latin American countries. There is an even more modern take on the original recipe called "Tex-Mex Migas" that are made generally in the same customary fashion, but with tortillas on the side to make more of a taco- or burrito-style meal. 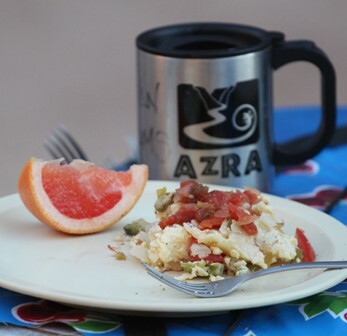 We have had the Miga breakfast on the menu for approximately 12 years and it continues to be a popular dish as it highlights a traditional southwestern meal typical of Arizona. Are you a visually driven person? Pinterest is a relatively new social network site that allows the user to share, curate and discover new interests by posting (referred to as "pinning") images onto pinboards. Pinterest lets you organize and share the beautiful images you find on the web and is popular for organizing recipes, planning a party, planning a Grand Canyon rafting adventure or creating a memory board of your Grand Canyon river trip. Browsing pinboards is a fun way to discover new things and get inspiration from people who share your interests. Pinboards simply provide a landing page for information related to a specific topic. For example, we have a pinboard called "Recommended Readings." When you enter the board, you find a series of "pins." The pins are pictures of book covers. If you see a book that you like, you can click on the image, and when that image pulls up to full screen size, you can double click on the image to be sent directly to a website for more information and possible purchase. We have also heard from guests that a visual list of "what to pack" would be helpful in preparing for the trip. And of course, there are those of us who simply want to see as many Grand Canyon pictures as possible, dreaming of the next time we will get to visit such a beautiful place. A Grand Canyon rafting trip often leaves you thirsty for more Grand Canyon knowledge, and oftentimes leaves you wanting to look at every Grand Canyon photo to say "I have been there" or "I wonder where that hike is?" If this is you, then you will love Pinterest. Visit our Pinterest page and view our boards including: Current Grand Canyon related Articles, Guest Blogs, Visual Equipment List, Information on the Bright Angel Trail, and Fun Things To Do in Northern Arizona. Do you have an idea of a board you would like to see on our Pinterest page? We would love to hear from you! We gave our website a facelift this summer and we hope you find our new website more visually pleasing, user friendly, and informative than ever. Our updated website does not have a new web address so visit www.azraft.com to see the changes! You may also notice that we are now referring to the hybrid trip as the "Classic.". With increasing popularity of the hybrid vehicle era, the term has become confusing to new customers; the term "hybrid" seemingly implies that the trip is a motorized & non-motorized raft trip. Since this is not the case, the oar boat/paddle raft trip will now be referred to as our "Classic" Adventure, alongside the Motor Adventure, and theAll-Paddle Adventure.